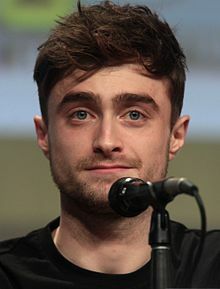 Daniel Jacob Radcliffe (born 23 Julie 1989) is an Inglis actor who rose tae prominence as the title character in the Harry Potter film series. ↑ "Daniel Radcliffe". Internet Broadway Database. Retrieved 16 June 2014. This page wis last eeditit on 28 October 2014, at 00:49.